Let’s face it, writing a letter of motivation isn’t that rosy after all. In fact, this step of the application process is one of the most tedious procedures a student must do – all the stress, impatience, and doubt of self-worth sooner or later will come up and bite. Since there is no magic potion for a perfect motivation letter encompassing a students’ worth, it seems that schools have become pickier and pickier with candidate selection and students seem to crack under the stress. Luckily, we’ve come up with some great advice to put some pink glasses on the process and to make it not only memorable, but one of self-discovery that will help students learn their motivations, strengths, and amiable characteristics. "The process of writing a letter of motivation is one of self-discovery that will help students learn their motivations, strengths, and amiable characteristics." We want to make writing motivation letters great again and to allow students to foster their confidence throughout the recruitment and application process at ESSEC for an understanding of true personal potential. Thus, we present to you the surgical anatomy of the perfect motivation letter, without the need for a medical license. Before opening Microsoft Word, a thorough research about the school needs to be done. 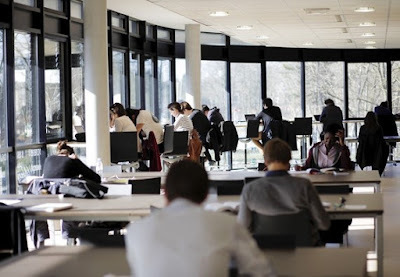 Getting a good idea about the qualifications, expectations and requirements that ESSEC asks from each candidate already presents a good idea about what should be included in the letter. ESSEC is a pretty cool school and has an extremely thorough website, so go all out! Exhibiting research about programs, courses, and tracks showcases true motivation to the jury, and lets them know that you are truly excited to join the pioneers at ESSEC. "We want to make writing motivation letters great again and to allow students to foster their confidence throughout the recruitment and application process at ESSEC for an understanding of true personal potential." 2) Why do I think that ESSEC is interesting and suitable for me personally? 3) What are my strongest qualifications, past experiences, and qualities? 4) What makes me an awesome candidate? The cover letter is very personal, and you want to make sure to show who you truly are as an individual. Think of it as meeting the jury face to face for the first time, except on paper - getting to know the real you is the most important aspect of this whole process. So, be yourself; even though it’s a cheesy phrase, never forget that you are the only you, which already makes you unique. So, show them what you’re made of! You can even light some incense for true self-exploration and listen to some funky yoga music. In the ESSEC recruitment process, it is very important for motivation letters to highlight your best features as a candidate. Perhaps describe an example of a hard time you have overcome, an international experience, or a personal path that you have taken that has shaped you and your best characteristics. "...it is very important for motivation letters to highlight your best features as a candidate." But, don’t brag – always remember that actions speak louder than words, and let the actions do the bragging. Make sure to give anecdotes of a specific experience that is relevant to the ESSEC program that you are applying to, explaining how these past efforts have made you a more hard-working and creative individual. You will be seen as down to earth and realistic this way, which is exactly what the jury looks for. Remember that you want to be remembered not only in a unique but also professional way. Check your grammar, prose, and diction twice. Pretend you are Shakespeare – it sounds absurd, but reading your letter aloud to yourself helps you notice hidden errors, and helps for flawless modification. Asking around for advice from teachers, friends, and family members never hurts either, so more eyes can scour for unnecessary commas, wording, or give you their opinion of your letter’s clarity. Remember: criticism makes the medicine go down, allowing for a better result. So, now that you have the rough anatomy of what ESSEC is looking for in a motivation letter, go ahead and get writing! Make this process an art form, moulded from your unique identity – this is the key to providing a powerful, holistic letter of motivation that will get the jury talking. You are in the spotlight, so make it glow with your colorful traits - ESSEC is waiting for you to show them. "Make this process an art form, moulded from your unique identity – this is the key to providing a powerful, holistic letter of motivation that will get the jury talking." It’s time to pick up your scalpel, eh-hem, pencil, and start writing. Go get ‘em, tiger.